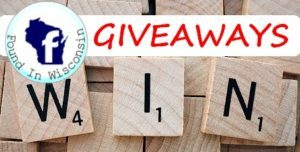 We took the Uniden USHC41 Security Kit and made it even better! 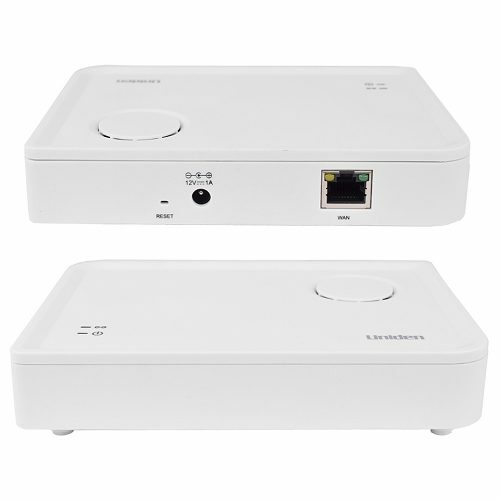 The Uniden AppHome Smart Home Security Kit USHC41 is a simple and full-featured base station that is perfect for building your own custom home security system. This DIY Home Security system allows you to monitor and control the security of your home via your smart phone. This gateway hub, with built-in siren, alerts you when a door or window is opened, and automatically turns on lamps to ward off intruders. Plus, since it’s expandable (with support for up to 24 sensors and up to 4 AppCams and/or Guardian surveillance systems) with this kit we give you even more! 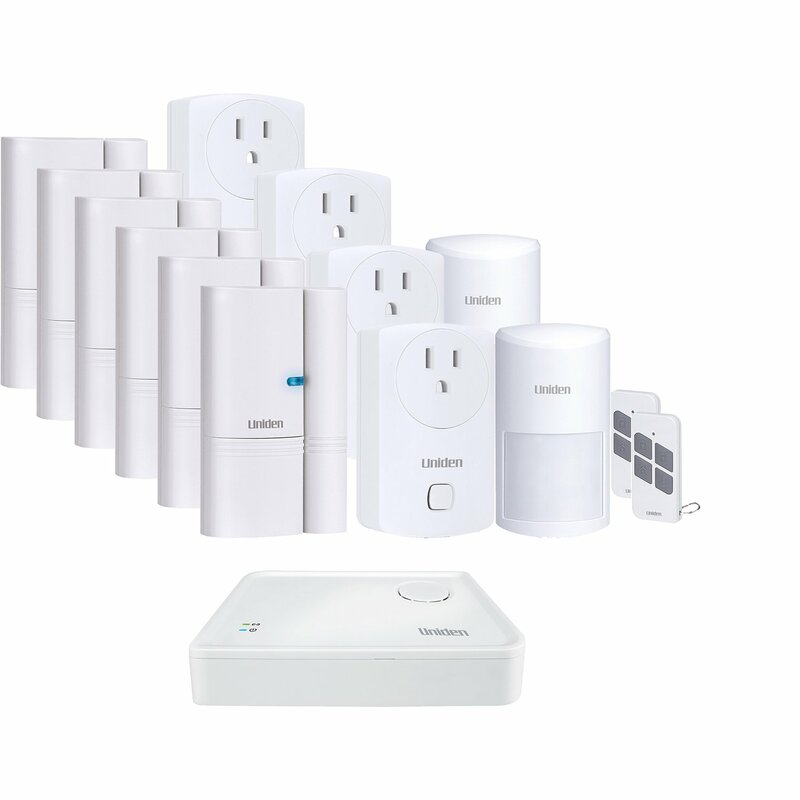 In addition to the 1 x gateway hub, 2 x on/off switchers and 2 x door/window sensors that are already in the Uniden USHC41 Home Security Kit, we include an additional 2 x on/off switchers (for a total of 4 on/off switchers), an additional 4 x door/window sensors (for a total of 6 door/window sensors), 1 x Wireless Motion Sensor and 1 x Wireless Remote Control Fob! With no monthly monitoring fees, it’s the perfect way to take home security into your own hands. 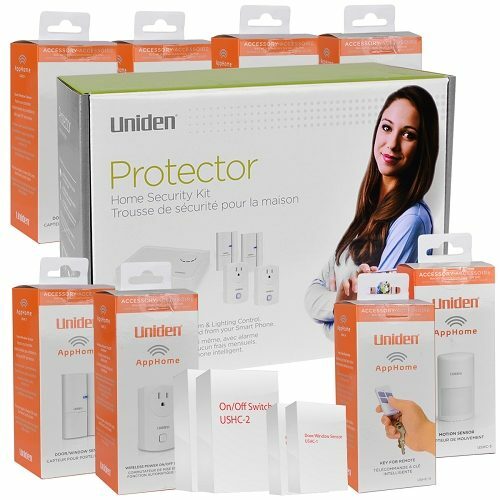 Uniden USHC41 AppHome Smart Home Security System + 8 Additional Items!